"Long ago the wisdom of the Prophet, Al-Kalim, came to the village of Dar el-Tamyya, and taught the folk to disregard their idols of old. But they kept one, to remember their ancient past and the wisdom of their ancestors. They also kept it because they believed it to be magical, blessed to protect the village form harm. Now the idol has been taken. Yesterday a small band of goblins raided Dar el-Tamyya, but strangely enough they killed no people and only took the Jade Hare. This has led Qadi Ibn Ali, the judge who is the recognized leader of Dar el-Tamyya, to conclude that the goblins were working for someone. But who? 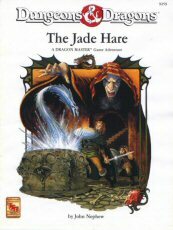 The Jade Hare is a Dungeons & Dragons game adventure, designed for a party of 4-6 first level characters. As usual, a variety of character classes will be most useful. Because the adventure's short, you and your players should be able to finish in just one session, even if you must generate player characters in the same evening. 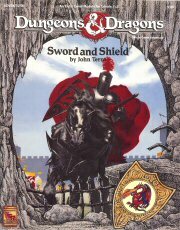 In order to play, all you need is a copy of the boxed Dungeons & Dragons game rules, dice, and some paper and pencils." 1992 ... 8 pages ... TSR 9259 ... ISBN ?? "On what should be the hottest day of the year, snow blankets the tiny village of Torlynn. The winter weather wreaks its havoc week after week, and the people of Torlynn are forced to abandon their homes. Only a few hardy souls remain in the village, one being Burgomaster Gustovan. 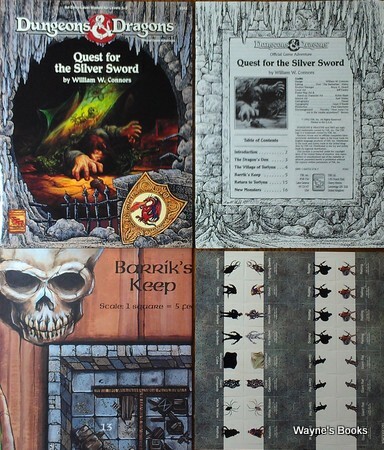 Quest for the Silver Sword is an introductory module designed for use with the new Dungeons & Dragons role-playing game. A specially desgined Dungeon Master map makes this module easy to referee - even if you've just opened the package! This adventure is suited for a group of four to six characters of 2nd or 3rd level. Included in this package are a complete 16-page adventure, 16 new color stand-up figures, and a beautiful full-color poster map outlining the dangers of Barrik's Keep." "In the canyon of Thunder Rift, in the village of Kleine, goblins have always been a nuisance, but the natives have dealt with them and continued an otherwise peaceful existence. Now, a valuable magical item, called the scepter of truth, has disappeared! The ingenuity of the crime bears the mark of the goblins' leader, the Master Thief Raven. The scepter must be recovered, but there is no one in Kleine with the strength and courage to penetrate Raven's trap-laden hide-out, deep in goblin territory. A party of stout adventurers might survive the mission, but they will have to be quick, smart, and especially careful. 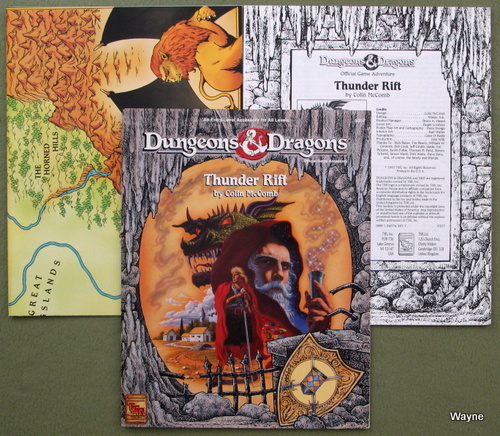 • Features easy-to-follow rules for smoother role-playing"
• Thunder Rift can be placed into any world in which the DM sets the campaign"
"The Black Knight is a mighty warrior. Even though he acts a lot like a bandit, they say he keeps his word. The Black Knight usually raids local towns, but now he is sending out invitations. He offers a tournament, a contest of honor, to all comers. But why would the Black Knight hold a contest? Maybe something more is going on. There is only one way to find out! This module is the first entry-level adventure written especially for a DUNGEON MASTER and a single player. • Can be used with several other adventures and accessories based in Thunder Rift, or it can stand alone"
"Centuries ago in the Black Swamp, Castle Kraal was a well-respected keep. Its warriors defended the folk of Thunder Rift from the marauding bands of ogres and goblins who swarmed to attack from the Horned Hills. And then one day the keep and all of its warriors vanished, never to be seen again. Now, all these years later, historians are still trying to find the answers to the disappearance of Castle Kraal, answers which may be hidden in Kraal's ruins. The heroes are asked to investigate and to try and solve the mystery. Be Warned: Not every mystery wishes to be solved! • New Rules for Adventuring Underwater"
"This entry-level module pits a single player character of 2nd to 4th level against samurai cat-men. 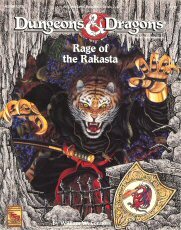 Rage of the Rakasta is specially designed as a one-on-one for a single DUNGEON MASTER and one player. It can also be played by a DM and a group of players or by a single player without a DM. Rage of the Rakasta takes place in the Thunder Rift game setting. 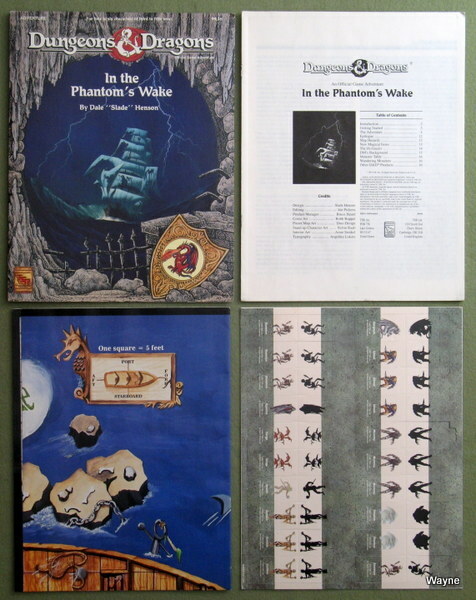 It can be played by itself or as part of a campaign with other modules sharing the same setting: Quest for the Siver Sword, Assault on Raven's Ruins, Sword and Shield, Knight of Newts, and the forthcoming In the Phantom's Wake. • Can be played as a sequel to Quest for the Silver Sword or as a stand-alone adventure." "Not long ago, a magical vortex released into the lands of Thunder Rift a strange and haunted ship from another time and place. A cursed ship, bad luck for those who saw it. 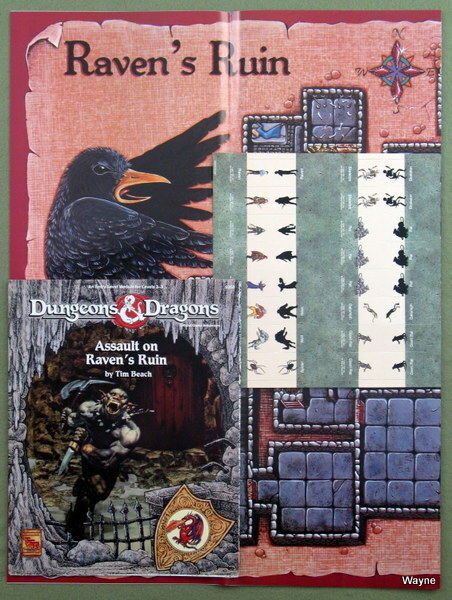 • This module can also be played with the ADVANCED DUNGEONS & DRAGONS 2nd Edition rules." "You hold in your hands the introduction to the world's greatest fantasy role-playing experience, the DUNGEONS & DRAGONS game. If your have a taste for excitement, if you're ready to take the next step beyond computer adventure games, this is what you've been waiting for! It contains everything you need to learn the fine art of becoming a Dungeon Master, weaving the interactive stories from which heroic adventures are made. It all starts with the celebrated Fast-Play Rules, a step-by-step tutorial that shows you the basic concepts of the game in a few quick pages. Then, dive right into "Wrath of the Minotaur," an exciting adventure that leads daring heroes into a terrible crypt to pillage its treasures and face the wrath of its guardian - Alaxus, the dreaded Minotaur Mage! Experience roleplaying the way it was meant to be, face to face with your friends, where imagination is your only limit. Welcome to the worlds of adventure." It all starts with the celebrated Fast-Play Rules, a step-by-step tutorial that shows you the basic concepts of the game in a few quick pages. 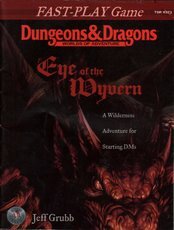 Then, dive right into "Eye of the Wyvern," an exciting adventure that takes starting heroes across the wilderness to confront a rampaging wyvern that has devastated the countryside!